One of my all-time favorite records is Kabuki and Other Traditional Music by Ensemble Nipponia (Nihon Ongaku Shūdan). A teacher made me a tape of it back when I was a senior in boarding school. I lived in a log cabin in the woods at the time, and I still have vivid memories of playing the tape in my battery-operated tape deck and hearing those sounds for the first time. My first impressions of Kabuki and Noh music, which can include some haunting vocalizations, was that it was pretty weird and a bit comical. I even carried the humorous interpretation into college when my roommate and I created a comedy routine/satirical Noh performance using dialog from our Japanese textbook. But over time my understanding and appreciation of traditional Japanese music and theater deepened. I think I started to hear the humanity and tragedy in many of the pieces. I then became an avid collector of Kabuki, Noh, Gagaku, and the more accessible forms of shakuhachi, koto, shamisen, and taiko music. So you can understand my glee when this video crossed my radar today. The video features an interesting ensemble that includes wadaiko (Keita Kanazashi), kotsuzumi drum/vocal (by the amazing Kaho Aso), accordion (Hirofumi Nakamura), and clarinet (Hidehito Naka). So why share it with Spy Vibers? The group plays a really cool cover of the James Bond theme, drawing on traditional Japanese and European/Jazz elements. You can hear it on the Fusion: East Meets West omnibus album (Amazon, AmazonUK, and iTunes). The project features various groups who blend traditions to cover classic tunes (the 007 theme is my fave of the bunch). NHK's video below starts with a nice intro to Kaho Aso and her drum. Enjoy! 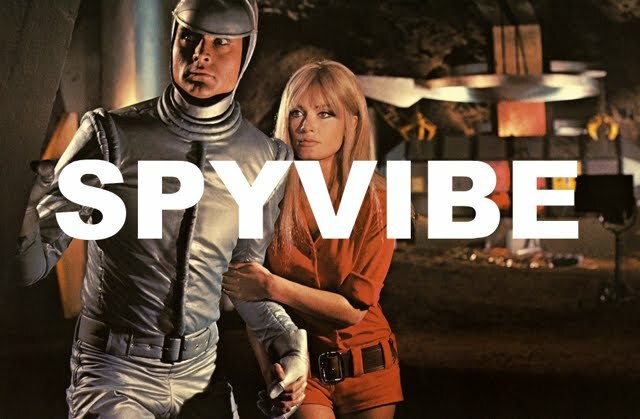 So... Spy Vibe just passed Two Million visitors yesterday. That was an exciting milestone! 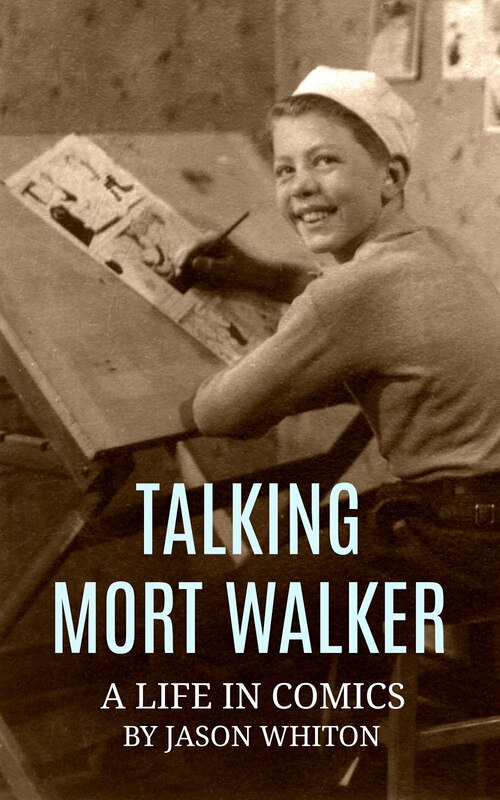 In other news, check out my episodes of the Cocktail Nation radio show, where I introduce classic spy films/TV series and play soundtracks and rare cuts: Episode #1 (Danger Man) and Episode #2 (The 10th Victim), Epsiode #3 (On Her Majesty's Secret Service), Episode #4 (Roger Moore/The Saint), and Episode #5 (The Avengers). Episode #6 (The Prisoner). Be seeing you! 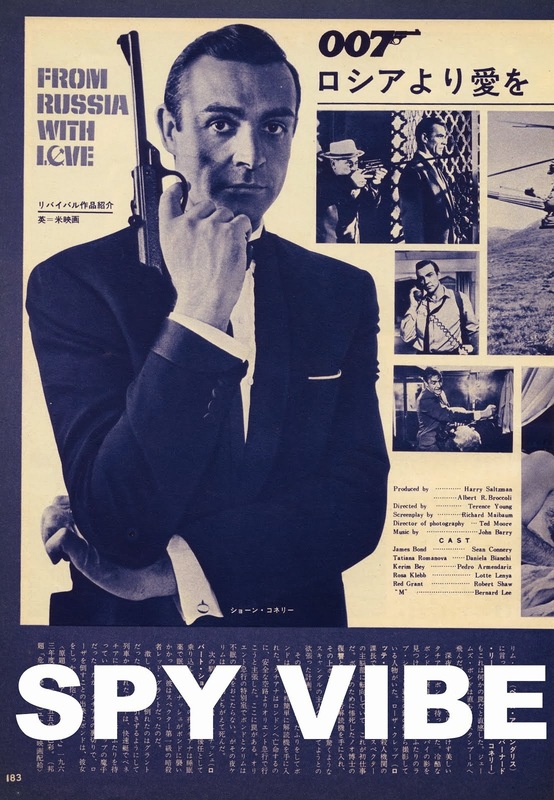 Selected Spy Vibe Posts: Two Million, Bo Diddley, Carnaby Pop, Le Carre Events, Billy Bragg Skiffle, Elvis 68, Jack Kirby The Prisoner, Casino Royale Concert, Review: The Prisoner Vol 2, Interview: The Prisoner Essential Guide, Maud Russell Mottisfont, Spy Vibe Radio 4, Batman Gallants, Adam West R.I.P., Village Triangle, Roger Moore R.I.P., Spy Vibe Radio 3, Sgt Pepper 50th, Satanik Kriminal OST, 60s Overdrive, Make Love in London, Spy Vibe Radio 2, Spy Vibe Radio 1, James Bond Strips, Propaganda Mabuse, Interview: Police Surgeon, XTC Avengers, 1966 Pep Spies, Batman Book Interview, Exclusive Fleming Interview, Avengers Comic Strips, Robert Vaughn RIP, UNCLE Fashions, Thunderbirds Are Pop!, Interview:Spy Film Guide, Lost Avengers Found, The Callan File, Mission Impossible 50th, Green Hornet 50th, Star Trek 50th, Portmeirion Photography 1, Filming the Prisoner, Gaiman McGinnins Project, Ian Fleming Grave, Revolver at 50, Karen Romanko Interview, Mod Tales 2, Umbrella Man: Patrick Macnee, New Beatles Film, The Curious Camera, Esterel Fashion 1966, Exclusive Ian Ogilvy Interview, 007 Tribute Covers, The Phantom Avon novels return, Ian Fleming Festival, Argoman Design, Sylvia Anderson R.I.P., Ken Adam R.I.P., George Martin R.I.P., The New Avengers Comics, Trina Robbins Interview, The Phantom at 80, 007 Manga, Avengerworld Book, Diana Rigg Auto Show, The Prisoner Audio Drama Review. That was SO COOL! I love James Bond reinterpretations! Thanks for posting!